Clean, comfortable, quiet. The staff were friendly and helpful. 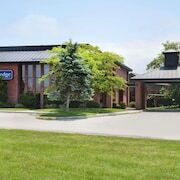 Where to find Ridgetown hotels near an airport? 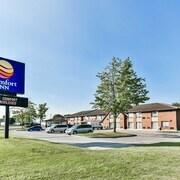 Where can I find hotels in Ridgetown that are near tourist attractions? 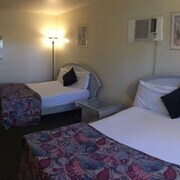 It's recommended you book early as there are not many Expedia-registered lodgings in or close to the heart of Ridgetown. 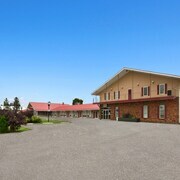 The Ridgetown Inn is nearest to the heart of Ridgetown and the only hotel within a short drive. 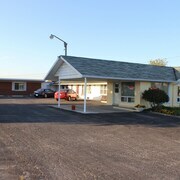 The Silver Motel is 16 kilometres (10 miles) distance from the center of Ridgetown. Like to travel a little further afield? Southern Ontario offers many attractions. Southern Ontario is known for beaches, and common Southern Ontario attractions include traditional villages, churches and art museums. Popular pastimes in this part of Canada include skiing. Before you say goodbye to Chatham, ensure you experience some sport. Visit RBC Centre to the northwest of Ridgetown. 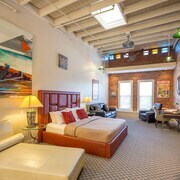 For tourists who are keen on booking a room nearby, make a reservation in the Fauld's Motel or The Gables inn. Chris Hadfield Airport is a logical airport, and can be found 70 kilometres (43 miles) from Ridgetown. 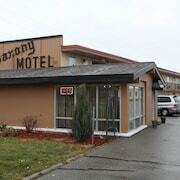 Accommodation options nearby include Howard Johnson Inn Sarnia and Palace Inn Motel. What are the most popular Ridgetown hotels? 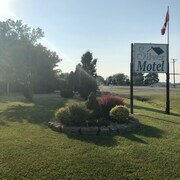 Are there hotels in other cities near Ridgetown? What other types of accommodations are available in Ridgetown? Explore Ridgetown with Expedia.ca’s Travel Guides to find the best flights, cars, holiday packages and more!